OMG you guys, it’s Rebecca! Rebecca Stenhouse (Musical Theatre, 2009) is currently appearing in the UK tour of Legally Blonde playing the part of Margot and as first cover Elle Woods. 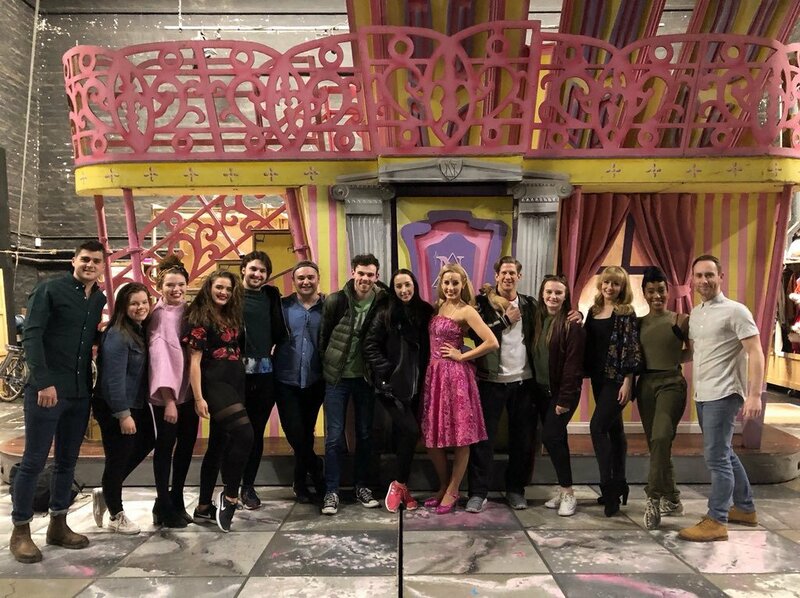 As one of our first graduates in Musical Theatre, it was a real delight for the team at MGA to take our current Musical Theatre third-year students over to see her play the lead role while the show was in Glasgow, and said hello to her and her cast mates afterwards. It was a special moment for our students, especially since they are getting ready to open in their own final-year production of the same show! Thank you and we’re so proud of you Rebecca!